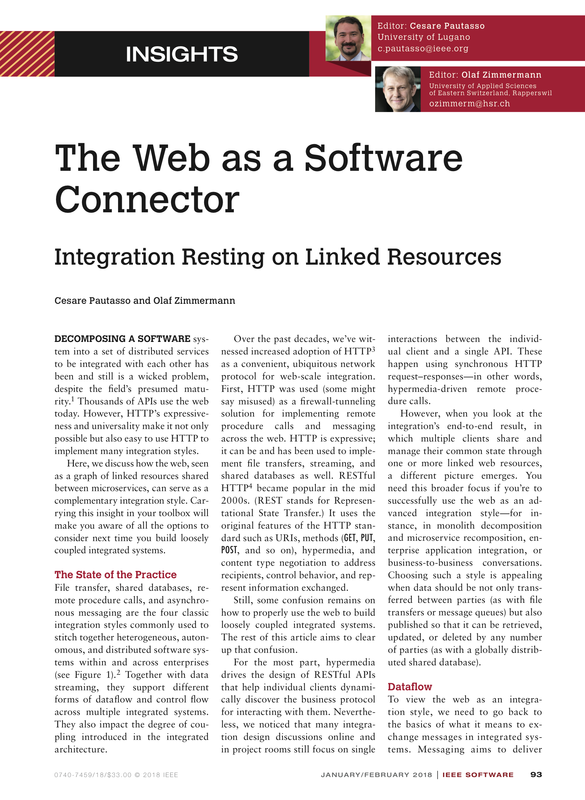 The web, seen as a graph of linked resources shared between microservices, can serve as an integration style. It offers unique characteristics and possibilities regarding dataflow, control flow, and other qualities, compared to file transfer, shared databases, remote procedure calls, and asynchronous messaging. Carrying these insights in your toolbox will make you aware of all the options to consider next time you build loosely coupled integrated systems.